Put your Bears spirit on display in this Chicago Bears Big and Tall Hoodie! You'll be cozy on game day in this Chicago Bears Navy Blue Champion Hood Hooded Sweatshirt. This Bears Big and Tall Hoodie features a screen print team graphic. 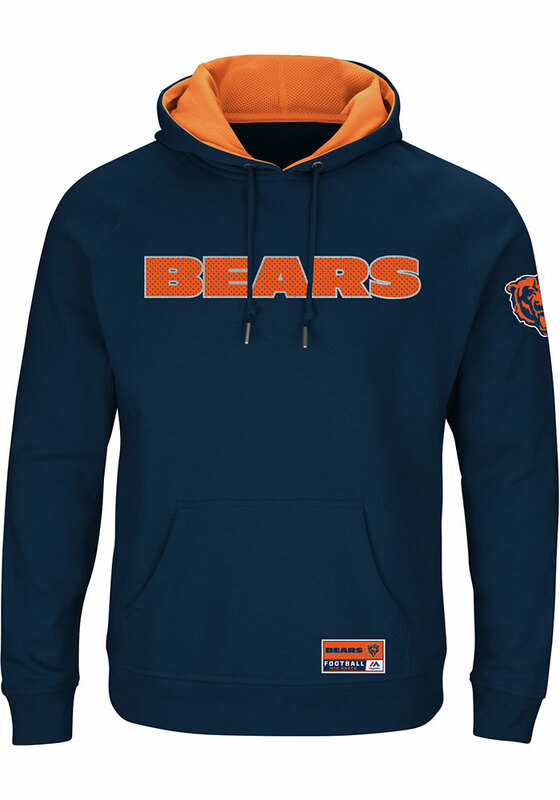 Wear your Chicago Bears spirit with pride in this great Hooded Sweatshirt!